Adapted from Food Network’s BBQ with Bobby Flay episode Sizzlin’ seafood. 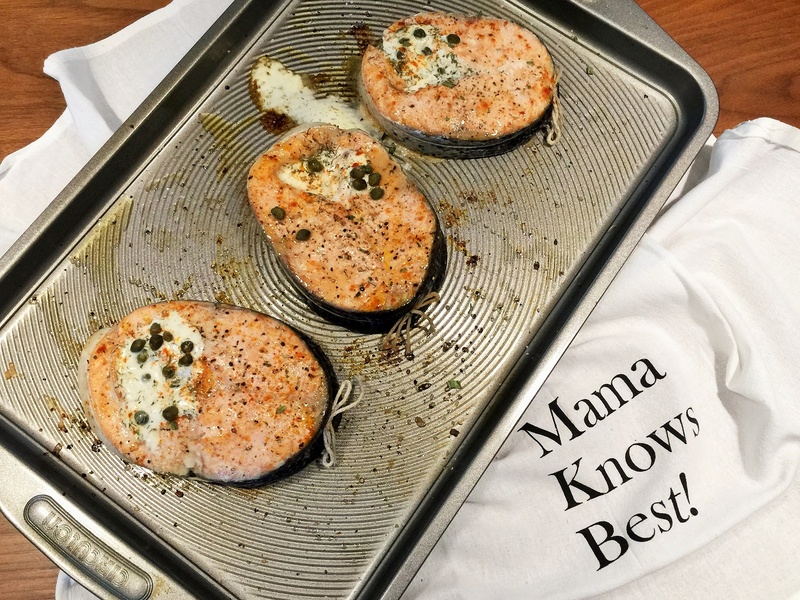 Place tied salmon steaks on a baking pan. Mix dill herb with crème fraîche. Spoon the mixture into the center of steaks. 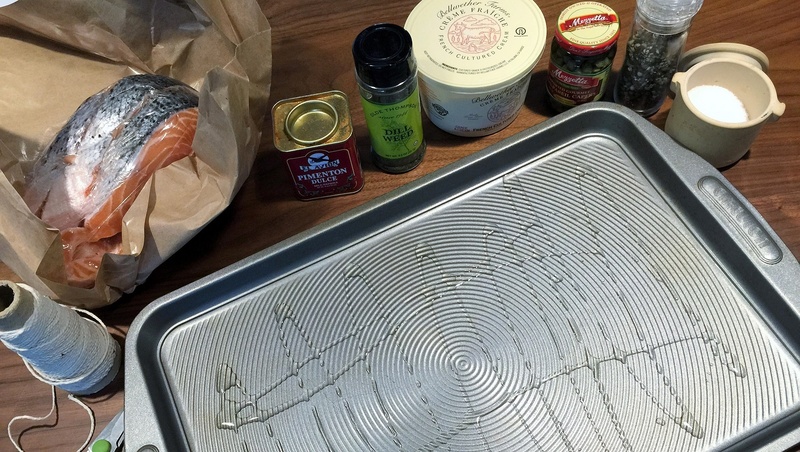 Season with lemon zest, paprika, capers, salt, and cracked black pepper. 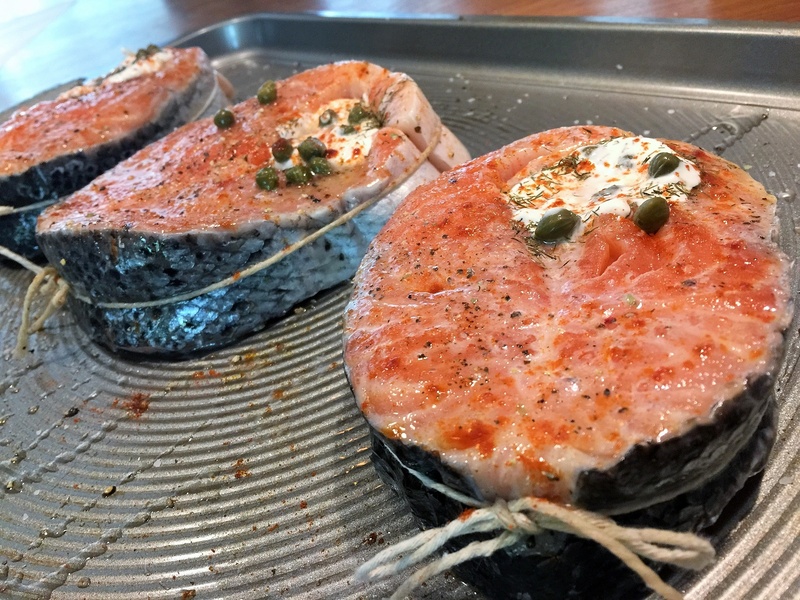 Bake for 15 to 20 minutes or until the fish begins to flake easily. Do not overcook. Garnish with lemon wedges and fresh herbs. 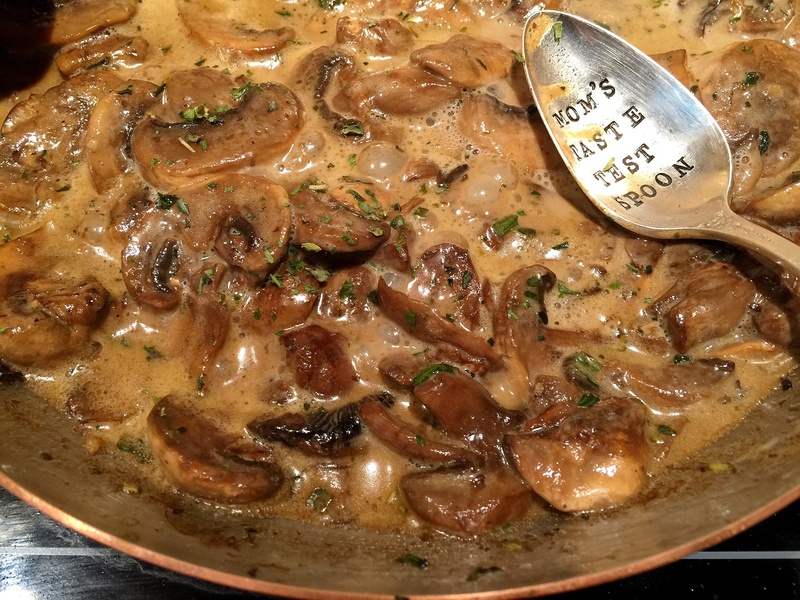 In a medium pan sauté about 2 cups sliced mushrooms in heated olive oil. Add-in 2 tablespoons of crème fraîche, 1/3 cup white wine, 1 tablespoon Worcestershire sauce, 1 teaspoon French herbs, and cook until sauce texture is creamy and rich brown in color. 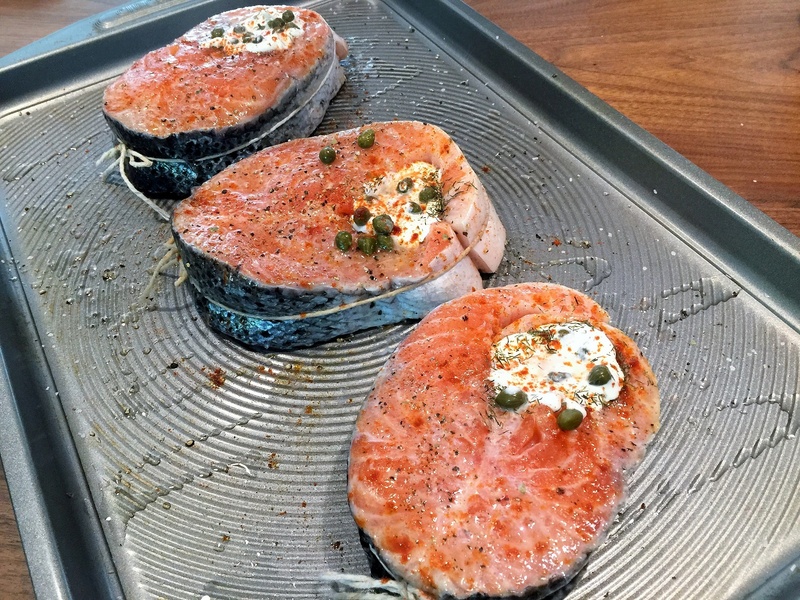 Season with kosher salt and fresh ground pepper to taste. 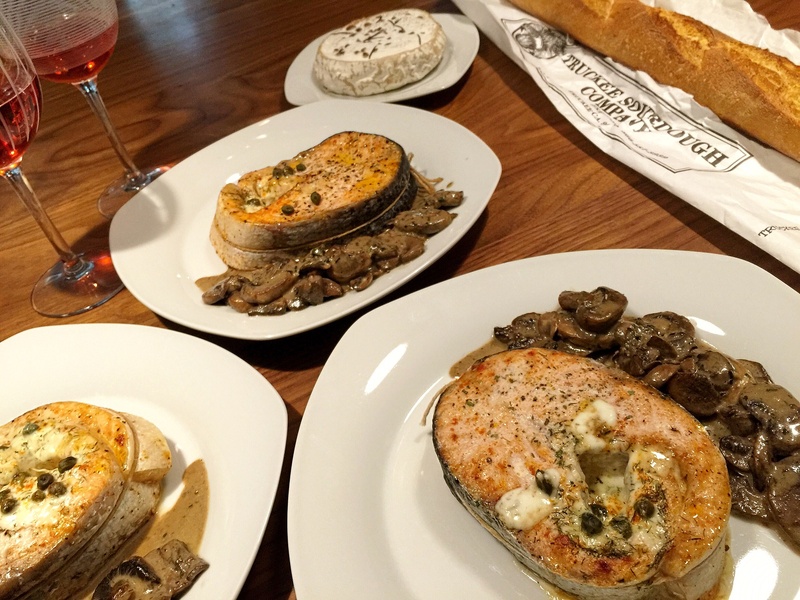 Serve alongside the salmon medallions, accompanied with French baguette. Posted in Entrees, Side Dishes and tagged clean eating, comfort food, foodies, Home Cooking, pescatarian, rustic recipes, the cooking apprentice. Bookmark the permalink.